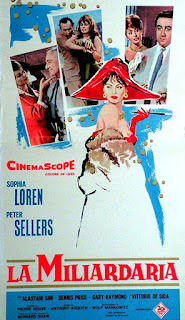 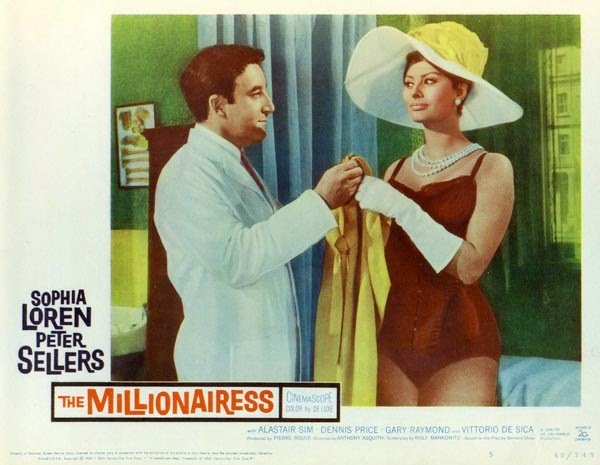 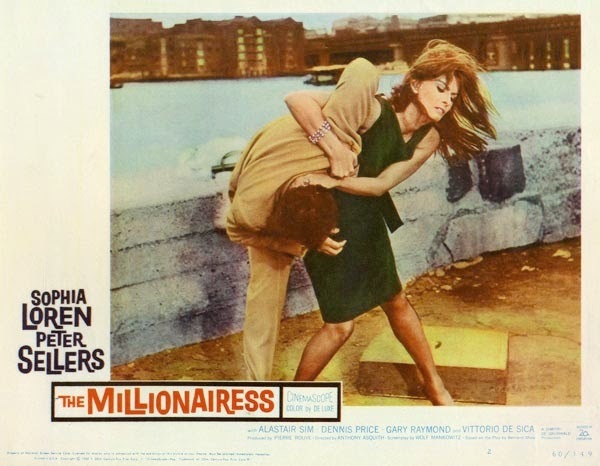 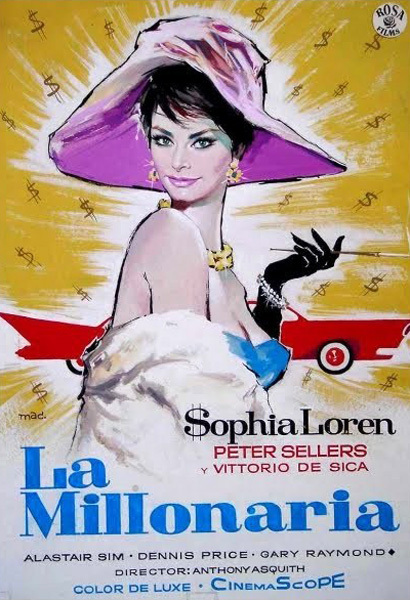 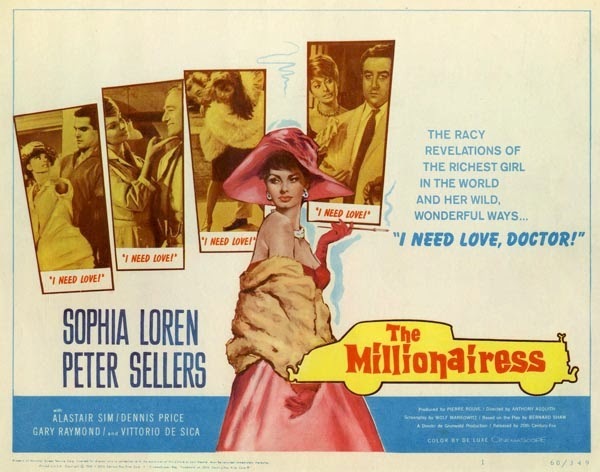 Directed by Anthony Asquith, loosely based on the novel by George Bernard Shaw, The Millionairess (1960) was a huge hit in Great Britain but received lukewarm reviews elsewhere. 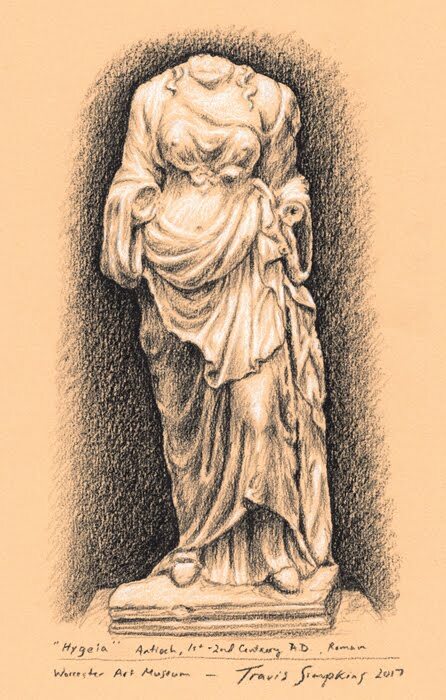 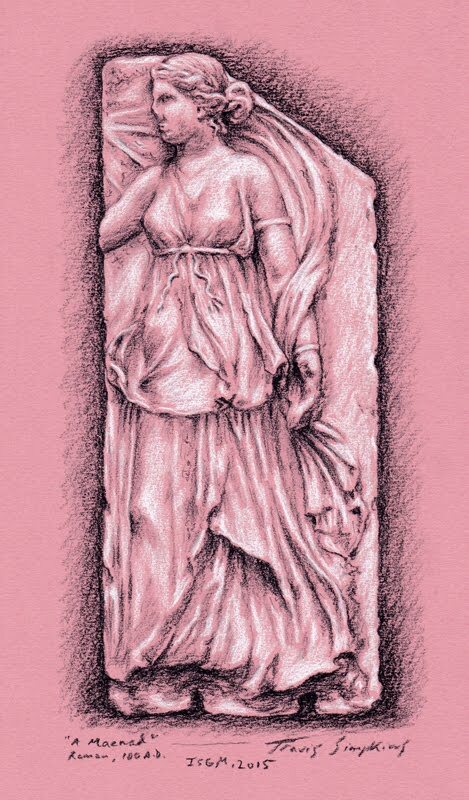 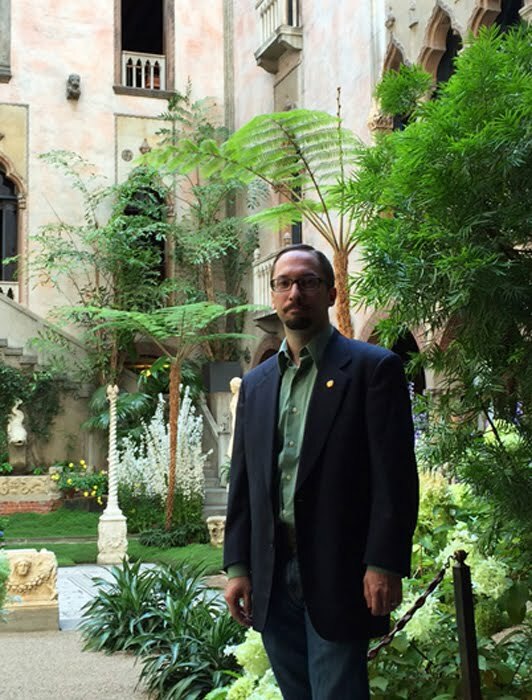 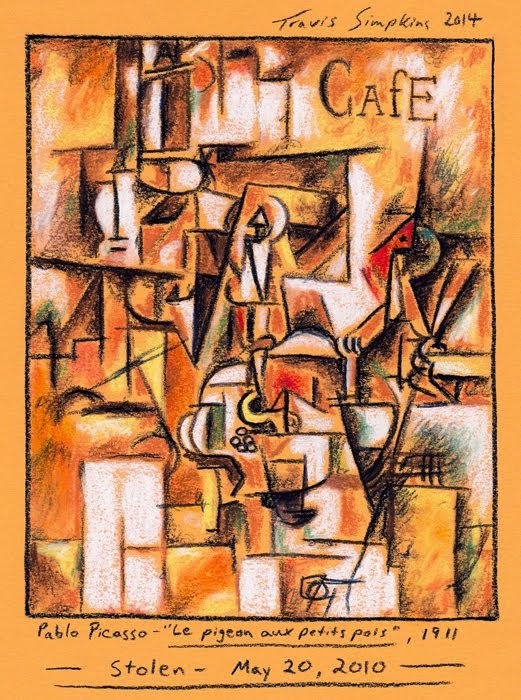 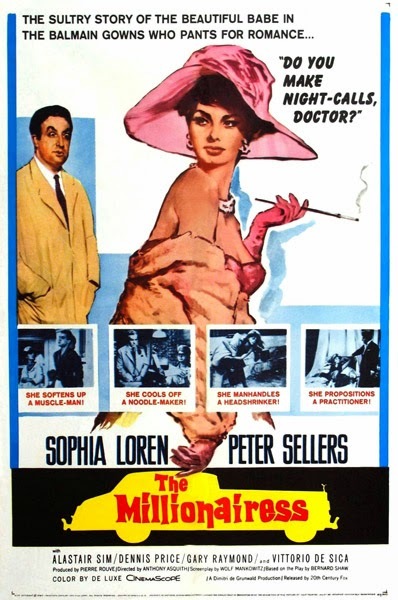 The comedy concerns an awkward proposal and pursuit of marriage between a socialist doctor and an heiress. 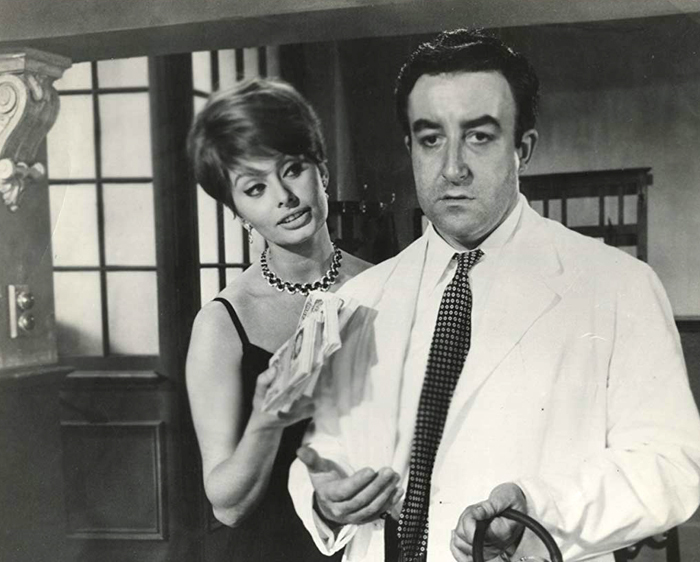 Peter Sellers is fantastic and hilarious. 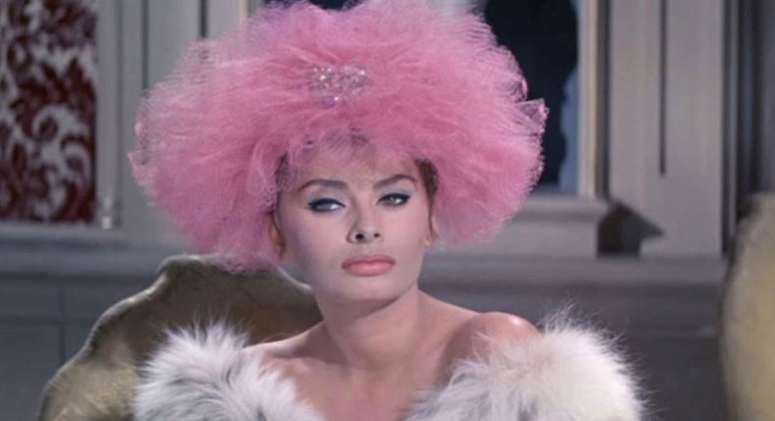 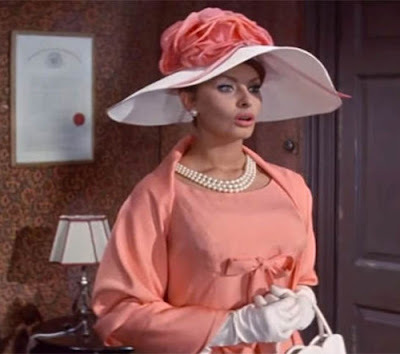 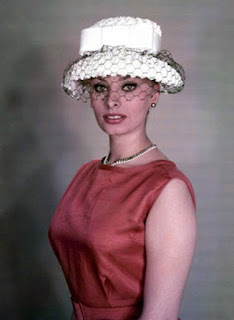 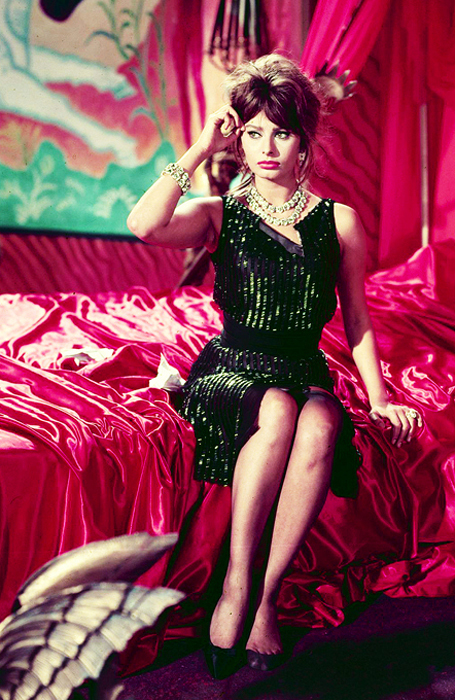 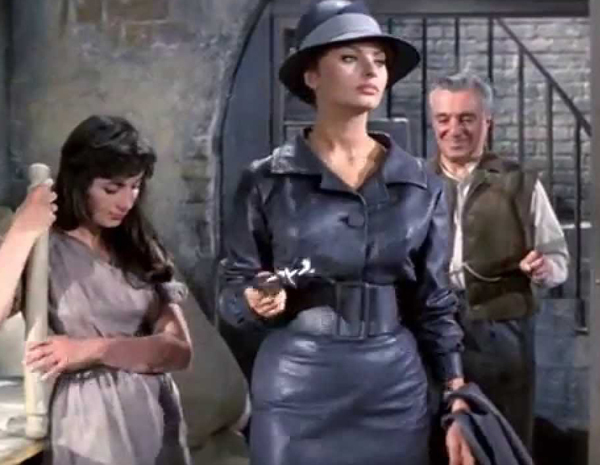 Sophia Loren is ravishing in her role and is the true star of the production. 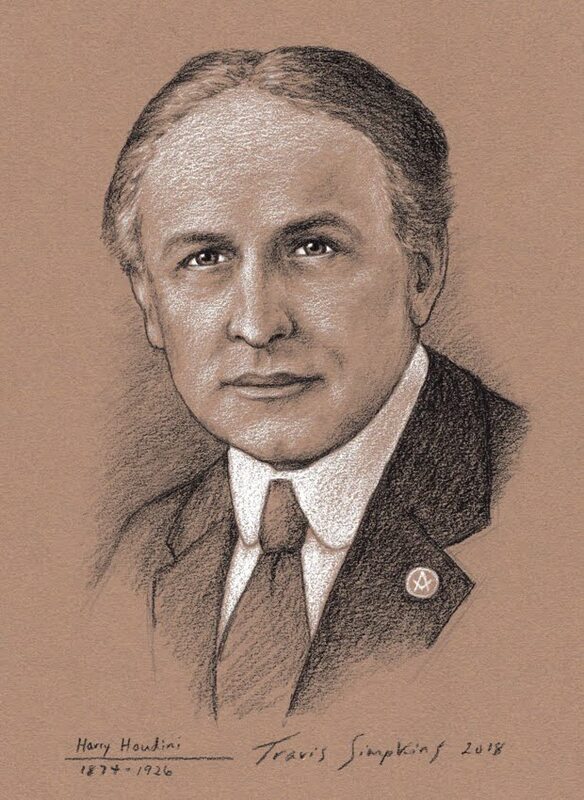 The supporting cast is good as well, including Alastair Sim.